Show organizers were quick to point out that the success of the HD Repair Forum is directly attributed to the contributions and commitment of its’ 15–member advisory board. The advisory board is comprised of collision repair shop owners and managers who have been engaged from the onset of the program. Their leadership and knowledge was on full display during the two–day event. The forum’s 250+ attendees were treated to two days filled with managerial and technical training classes, as well as industry-related programs. Every session provided steps to prepare for the future, which is critical as this industry evolves at an expedited pace. A growing number of executives representing OEM truck manufacturers and insurance companies further highlighted the goal of the Forum: to bring together people and companies with the power to facilitate change. These individuals not only were in attendance and engaged with the industry, but several of them gave formal presentations or shared their knowledge and experience by participating on a panel. The energy derived from their participation confirmed that the industry has an opportunity to impact change by working together to the benefit of the vehicle or fleet owner. 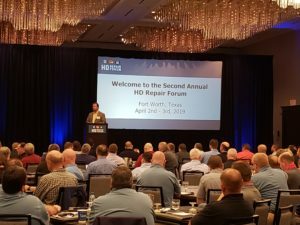 Dates and location have not yet been announced for the 2020 HD Repair Forum but show organizers did state the event would be expanding and larger venues in Fort Worth were being studied to accommodate the growth. To stay up to date, please subscribe to our email communication list. Houston, Texas, March 21, 2019 – Four commercial vehicle manufacturers have signed-on to present at the second annual HD Repair Forum. Volvo Group North America, Daimler Trucks North America, PACCAR, maker of Peterbilt, and Navistar, manufacturer of International and IC Buses understand the value in providing the heavy-duty collision repair industry with increased communication. Each of the leaders’ presentations during the two-day event will deliver key insight on new vehicle technology, which will have a profound impact on both the collision repair and transportation markets. Beyond new vehicle technology, the OEMs will also discuss solutions to parts identification, availability, and pricing. All of which are areas of concern for repairers today. The HD Repair Forum aims to foster growth and progress in the heavy-duty collision repair industry through the exchange of knowledge, experience, and feedback from all industry stakeholders. Repair facility owners and managers, insurance representatives and appraisal companies, OEMs of commercial vehicles, and those who manufacture parts, equipment, or services for those vehicles will gather April 2nd- 3rd in Fort Worth, Texas at the Hilton Fort Worth. There are several functions that foams and NVH materials perform in the Heavy-Duty Trucks and Commercial Vehicles of today. Reducing noise, vibration, and harshness(NVH) are the most obvious. The performance of these products has a significant impact on the driving experience for the vehicle operator and occupants. 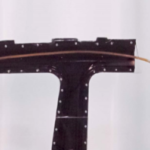 Vehicle foams stiffen the body structure and help control twisting and flexing of the vehicle. Additionally, foams have an influence on the design and affect the performance of energy management in the event of a collision. So, ultimately, these materials impact the crash protection and safety of the occupants of the vehicle. It is important in the collision repair process to inspect and replace these Original Equipment Manufacturer (OEM) materials as needed to ensure the quality and performance of the vehicle following the repair. Replacing the foam is a process that can be easily overlooked or skipped. 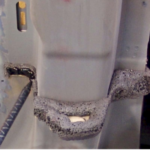 Failure to restore the form and function of the foams can have a significant impact on the trucks daily operation (noise and comfort) and crash worthiness (occupant safety). When we talk about foams and NVH material, what exactly are we talking about? Structural foams typically come in or on the replacement part, as these foams are not available in an aftermarket product format. The replacement foams fall into two categories; Rigid Foams and Flexible Foams. Rigid foams, like 3M™ Pillar Foam PN 08458, are designed to provide reinforcement and stiffness to vehicle structures such as posts, pillars, cab corner extensions, and other cavities. These foams provide stiffness which reduces twisting and flexing of the vehicle structure, panel flutter, and metal fatigue. Rigid foams should be used on repairs wherever OEM rigid foams were originally utilized. Flexible foams, such as 3M™ Flexible Foam PN 08463, are designed and used to absorb and control sound, block air movement, and fill large cavities. 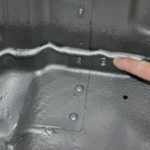 Typical locations for this type of foam are floor pans, rockers, cab corner extensions, and other body cavities. 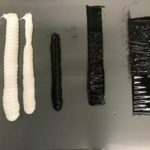 Flexible foams should be used on repairs wherever OEM flexible foams were used. 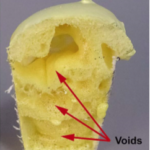 Structural foams are very dense foams utilized for collision energy management. They are typically found in rails and pillars. Another product used in these applications is NVH material, such as 3M™ NVH Dampening Material PN 04274. This material is designed to be used for replacing or re-installing factory NVH sealants and foams. They can eliminate vibration and reduce noise between panels, braces, and intrusion beams. 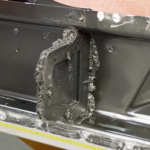 The NVH Dampening Material performs well in attaching existing foam to panels, filling small gaps where foam cannot be used or easily replaced, and for sealing edges of cut, open, or damaged foam (see picture below). The repair and replacement process should begin by identifying the OEM location of the foams for that specific vehicle make and model. This information should be identified through the OEM website, technical bulletins, and recommended repair procedures. 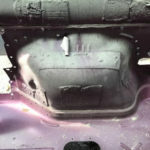 Identify the location and type of foams on the repair vehicle. 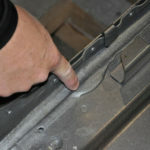 Inspect the condition of the foam for damaged material that will need to be removed and replaced. Determine the best replacement material based on foam type, cell structure, compression, density, and texture. Foam Flow Rate and Foam Time should also be considered based on the access point and location where the foam is needed. The volume of foam needed can be calculated using the expansion rate of the foam and the volume of the area being filled. Remove any damaged foam, undamaged foam can be left in place. Abrasives, chisels, knives, scrappers, and rolling the foam off by hand are all methods used to remove foams. Heat can be useful to remove undamaged foam for reuse. If welding will be performed in the area, remove all foam, regardless of condition, to reduce the risk of a fire and toxic fumes. Clean and dry the surfaces that will be receiving foam with a water-based and solvent -based cleaner being careful to avoid getting liquid on any existing foam. Prime all bare metal with an epoxy or other approved 2K direct-to-metal primer; never use 1K aerosol primer. Once the primer has dried according to the product data sheet, install the foam. The use of an extension tube may be necessary to access the cavity. A dam may also be needed to hold the foam into a specific area. As with any repair process, proper PPE should always be worn. A respirator, chemical resistant gloves, eye and face protection, and a paint suit are all safety equipment that should be used when working with foams and NVH materials. Expandable foams are flammable, caution should be taken, and a fire extinguisher should be available when a heat source is being used near foams. High quality foams that are designed for the collision repair industry are typically 2-part urethane closed-cell foams. This type of foam is needed to meet OEM performance requirements such as temperature and moisture resistance. 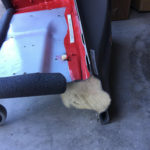 Consumer foams that are found at home improvement stores should not be used for vehicle collision repair applications. These foams are typically one-part, open-cell urethane foams that require moisture to cure. 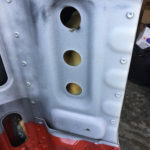 If this material is applied to a part or inside a body panel where moisture isn’t present, the foam may never cure and can result in voids or hollow spots. Being an open-cell foam, this material can absorb and hold moisture which may cause corrosion issues. Another limitation of the consumer foams is vibration resistance, these foams can break down from the excessive vibration found in today’s heavy-duty trucks and commercial vehicles. 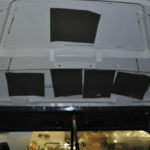 Sound deadening pads are another product commonly found on heavy trucks and commercial vehicles. These pads, such as 3M™ Sound Deadening Pads PN 08840, are placed on a variety of interior panels to block and reduce road noise, engine sounds, panel vibration, and other noises. These pads are easy to install (cut to size, peel liner, apply to the surface) and should be replaced as necessary on any collision repair. Heavy-duty truck and commercial vehicle OEM’s also apply other materials in strategic locations to reduce noise, vibration, and harshness. One example of this would be the “doghouse” area on the cab floor above the transmission (see picture below). Dabbing the surface of the seam sealer with a 3M™ScotchBrite pad is another method that can be used to match an OEM texture. Utilizing the seam sealer gun in a push/pull or side-to-side method can produce a specific pattern as well. Using these products and a little creativity, many of these OEM textured surfaces can be matched very effectively. The products and processes to inspect, repair, and replace foams, NVH material, and sound deadening pads are an important part of performing a quality repair. IMPORTANT NOTE: There are of course many factors and variables that can affect an individual repair, so the technician and repair facility should evaluate each specific application and repair process, including relevant vehicle, part and OEM guidelines, and determine what is appropriate for the repair. For more Heavy-Duty Truck and Commercial Vehicle Collision Repair product information, Standard Operating Procedures, and Videos, please visit our website at 3M.com/truck. Houston, Texas, March 11, 2019 – Axalta Coating Systems, a provider of OEM coatings for seven of eight North American commercial vehicle manufacturers and leader in coatings for collision repair, increases its support of the annual heavy-duty collision repair conference, HD Repair Forum. Earlier this year, Axalta committed to their continued involvement and support, with an increased sponsorship level of the HD Repair Forum. It also wholeheartedly supports their Business Council Member’s unanimous decision to host their spring meeting alongside the program. Business council member, Steve Wolfe, President of Diversified Body & Paint in Colorado, was in attendance at last year’s inaugural event and has secured his registration for this year. “During the 2018 HD Forum I learned so much and met some wonderful people. The event restored my faith in our industry’s growth and potential,” he explains. “The topics covered, networking time provided, and products showcased are what all of us are looking for, each and every day in our businesses. Time and cost is very important to our group, so holding our council meeting alongside the HD Repair Forum is a ‘Win, Win!’.” Wolfe continues. The HD Repair Forum aims to foster growth and progress in the heavy-duty collision repair industry through the exchange of knowledge, experience, and feedback from all industry stakeholders. On April 2nd & 3rd, 2019 heavy-duty collision repair professionals, insurance parties, OEs and equipment and service providers from across North America will gather at the Hilton in Fort Worth, TX. They will obtain information on the latest trends and industry issues and learn about the newest vehicle technology, solution-based services, and training opportunities available to the market. “I’m looking forward to hearing about topics this year like OE repair information, parts sourcing, and identifying equipment that fits my needs. For myself, other members in my council, and repairers in my industry these are all high on our need lists.” Wolfe concludes. The complete agenda for the HD Repair Forum was released early last month and can be found here. Many other industry stakeholders, including truck manufacturers, equipment suppliers, insurance companies, independent appraisers, and heavy-duty repair facility owners have already marked the second annual HD Repair Forum on their calendars. Limited sponsorship opportunities are still available. Visit this link call 281-819-2332 for more information. Created as a dedicated resource for heavy-duty collision repair information for shop owners, managers, estimators, appraisers, insurance personnel, manufacturers, educators, and consultants. The HD Repair Forum offers a monthly newsletter, a website, news articles, webinars, and an annual conference that brings all industry stakeholders together. The HD Repair Forum’s conference will take place April 2-3, 2019 in Fort Worth, TX with numerous classes and panels dedicated to education and problem solving. Axalta is a leading global company focused solely on coatings and providing customers with innovative, colorful, beautiful and sustainable solutions. From light OEM vehicles, commercial vehicles and refinish applications to electric motors, buildings and pipelines, our coatings are designed to prevent corrosion, increase productivity and enable the materials we coat to last longer. With more than 150 years of experience in the coatings industry, the approximately 14,000 people of Axalta continue to find ways to serve our more than 100,000 customers in 130 countries better every day with the finest coatings, application systems and technology. For more information visit axalta.com and follow us @Axalta on Twitter and on LinkedIn. Houston, Texas, Jan. 29, 2019 – When the HD Repair Forum was first in development back in 2017, its founders breathed hope into offering the heavy-duty collision repair industry something it has never had before: A Platform for Progress. “Months of research and countless conversations proved this industry needed an event tailored to its needs,” explains Brian Nessen, Co-founder and President of the HD Repair Forum. “When you’re hearing similar concerns from all angles of the industry, you recognize a missing link in the chain of communication. From experience, we understand that discussion around common struggles brings light to industry inefficiencies and creates opportunity for strategies to evolve. The aim is to move everyone forward as a solid unit,” he continues. “The conversations we had at the HD Repair Forum in 2018 helped us better understand the challenges many repair facilities are facing,” says T.J. O’Hanlon, Director of Private Labels at Navistar, which makes International® trucks, IC Bus® school buses, and Fleetrite® all-makes replacement parts. O’Hanlon is scheduled to speak to attendees in more detail about these and other company developments at the 2019 event on April 2nd & 3rd in Fort Worth, TX. The HD Repair Forum brings together repair facility owners and managers from across North America to hear from and interact with industry stakeholders, like Navistar, the Illinois-based OEM, who was one of the first to commit their support to the 2019 event. Navistar’s collision catalog is a readily available reference guide of OEM part numbers for not only the International vehicle brand, but also for Freightliner, Kenworth, and more. Part numbers are displayed with accompanying pictures to make it easier for customers to decipher what is needed. Delivery of parts within 24 hours has been advertised. “The underlying commonality between repair facilities, insurance parties, and manufacturers is the end customer. Making their lives easier and safer is the central focus of this event,” concludes Nessen. For additional information, please visit: www.hdrepairforum.com or call (281) 819-2332. Created as a dedicated resource for heavy-duty collision repair information for shop owners, managers, estimators, appraisers, insurance personnel, manufacturers, educators, and consultants. The HD Repair Forum offers a monthly newsletter, a website, news articles, webinars, and an annual conference that brings industry stakeholders together. The HD Repair Forum’s conference will take place April 2-3, 2019 in Fort Worth, TX with numerous classes and panels dedicated to education and problem solving.